Where Is The Fuel Filter On My 2006 Dodge Caravan? 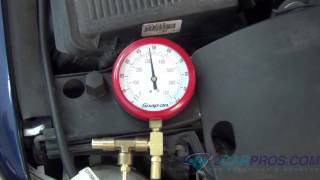 Where Is The Fuel Pressure Regulator Located At On A 92 Dodge Caravan? Fuel Pump Relay Or Pump Failure?